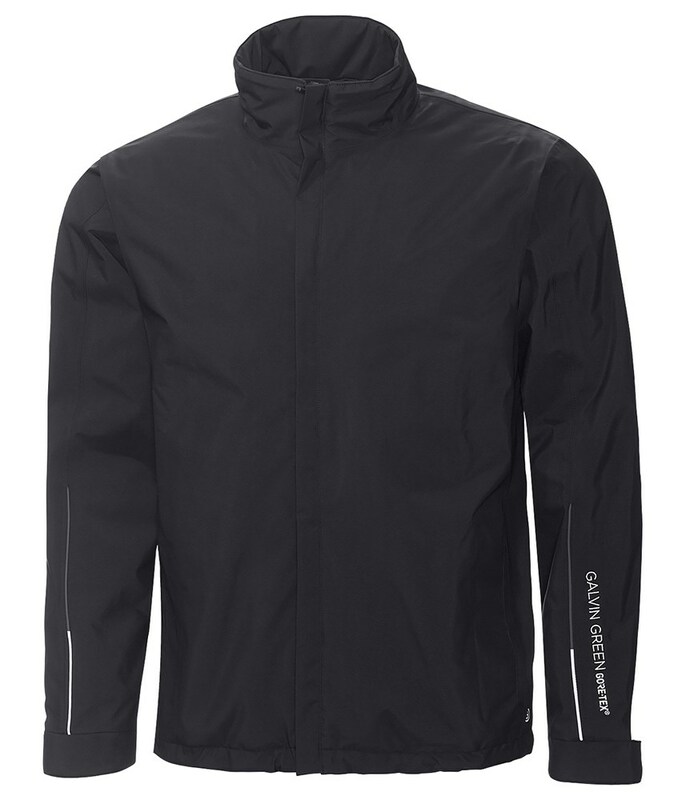 With its totally waterproof GORE-TEX stretch fabric, golf specific fit the Galvin Green Ash jacket has been created to provide die-hard golfers the most incredible all round performance in bad weather. GORE-TEX is 100% waterproof, windproof and breathable so that you can utilise wearing it in all conditions without sacrificing performance. GORE-TEX will help keep your core temperature constant and prevent any sweat buildup by wicking away any moisture. The golf specific fit of the Ash jacket delivers incredible mobility, an elasticated drawstring design around the hem allows you to tailor the fit and rain channel incorporated into the cuff design will allow water to run off the jacket and away from your hands. 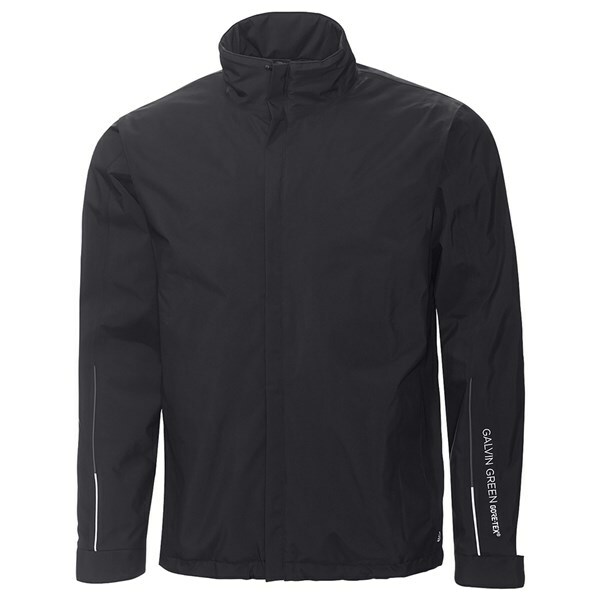 For convenience two front hand pockets have been incorporated into the design of which feature waterproof zippers and two inner chest pockets with zippers. Front pockets with zipper closing. Two inner chest pockets with zipper closing. Repositioned side seam for optimum comfort and fit.